optoblog.com » Blog Archive » Why Does the Post Office Want to Search My Car? Why Does the Post Office Want to Search My Car? And it’s not like this was some special parking lot out back. 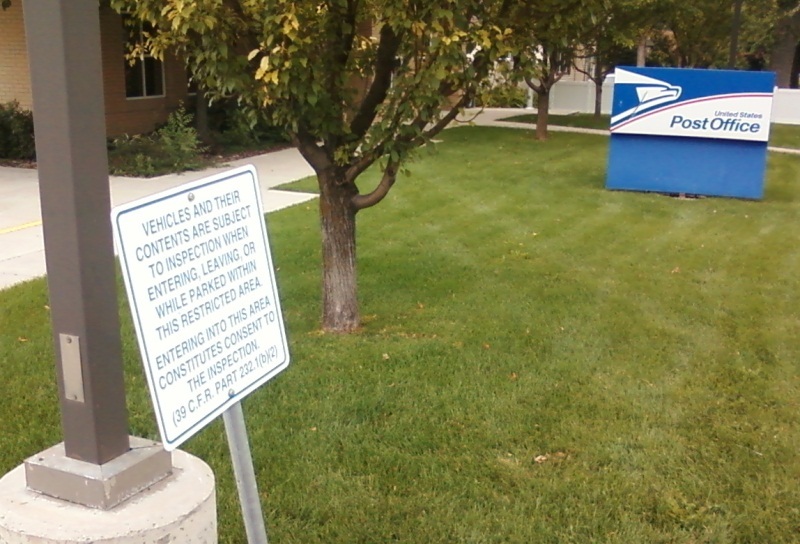 This is the front parking lot that everyone who uses the post office would enter. So here is my question: Why? Even if this is entirely legal…why? I don’t think it’s right. When did this happen? Why didn’t the media get all over this? How IS that legal? Do they get by with it somehow since they are government-run? Like the searches at the airports…is there some underlying threat at all times that lets these otherwise unlawful searches get by? Or is it more like a private thing, where they set the rules “If you want to park here, you must abide by my rules.” I’d love to have some insight into this.